Madeira, which is mainly known for Madeira Island, the the outermost region of the European Union, and one of two autonomous regions in Portugal. 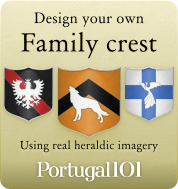 The region was once fully covered in lush forests, and the name is basically the Portuguese word for “wood”. 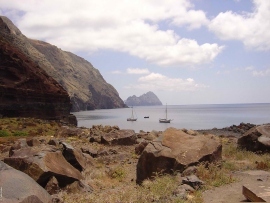 While there is still a big forest (which is now on the UNESCO world heritage list), some parts of the island are very developed, and the island gets a lot from its income from tourism. 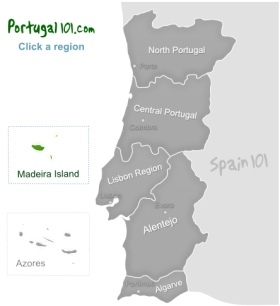 Less than 300,000 people live on the island group Madeira, with most of them living on Madeira Island. 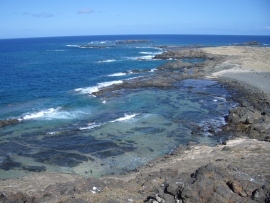 The location in the Atlantic Ocean causes the weather to always be quite pleasant, so the island is a popular destination for visitors almost all years around. 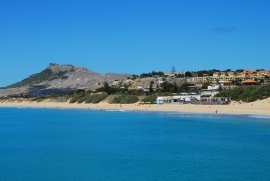 In 2010, there was a severe storm – but by now the island has fully recovered from it. There are some reminders of the storm that had taken its toll on the island, and much of the debris that has been left behind by the storm has been used to build a new promenade (which was of course a clever thing to do as tourists love such stories). Madeira Island is known for its beautiful flora. 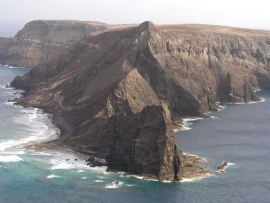 The island is home to the largest Laurissilva Forest in the world, and also has some plants and animals that can only be found on this island, e.g. the Mountain Orchid. 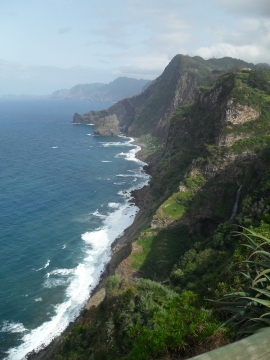 What should you see if you visit Madeira Island? For almost all people, who visit Madeira Island, a hike in the Madeira Natural Park is a must. Whether you are interested in the unique flora and fauna or whether you just enjoy beautiful sceneries, this place is as close to paradise as you can get. You might also be quite surprised about how hilly – even mountainous – this island is. 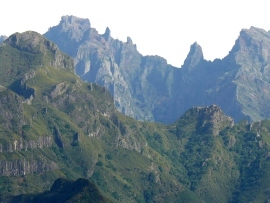 The Madeira Natural Park is not a very old national park, and was only created in 1982. Like many other national parks, it was created to protect nature from being destroyed more and more by the greed of people who would like to turn everything into money. Fortunately, two thirds of the island are still covered in forests. Funchal is the capital of Madeira Island, and most likely the first place you will see as most visitors arrive in Funchal. While you might decide that you would prefer to head off into a less busy area of the island, you should take at least a couple of days to explore this lovely city. It has a five hundred year long history, and some sights that are very interesting. Go for a walk through the historic city centre, where you can for example visit the cathedral which was built in the 16th century. There are also interesting museums, and the city is a great place to try some of the local dishes. Don't miss a visit to the Monte District of Funchal, as this is a district where you can move around in a cart! There are also great views on the bay and some excellent gardens. Madeira Island is often called “the floating garden of the Atlantic Ocean”, and if you take some time to just look at the island, you will immediately find out why. There are gardens and parks filled with the most beautiful and colourful flowers everywhere. While there are naturally many native plants, the trade in the past also led to the exchange for many flowers and plants from other countries and continents. You can basically see the best of the world's plants by visiting Madeira as the climate allows the people of Madeira to grow those plants all year long. Madeira Island is famous for the great wine that is produced there, and if you arrive at the right time of the year, you can also see the Madeira Wine Festival. Some wineries offer tours of their properties and wine cellars.